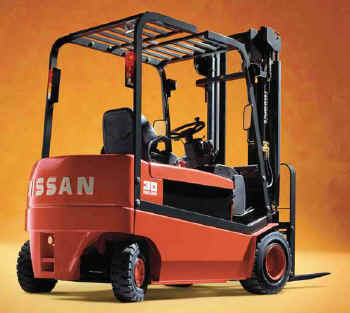 Navarra export catalogue - Nissan Forklift España, S.A.
At NFESA, we concentrate our activities on the developmen and manufacture of forklifts for the larger volume models for the European market, although our products are exported to such markets as the United Satetes and Australia. The technological capacity, together with our strict quality control system, have enable us to be the first company in this sector to have de ISO 9002 standard certificate and ISO 14.001. Both NFESA and our Dealer Network porvide advice to our customers concernig the selection of the machine and the most convenient utilisation of same for each purpose. 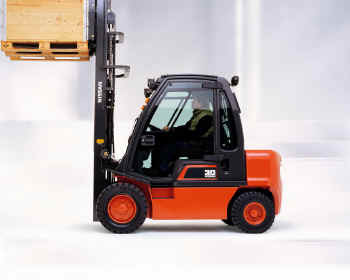 Dealers also offer maintenence programas and rental services to cover our customers machinery requirements as they arise.